Having been involved in Turkish restaurants in the Canberra community for more than 30 years, Chef Sukru (Steve) now brings his flare and passion for food to Erindale. First starting out at the top end of the “takeaway strip” of Erindale shops, Turkish Grill grew steadily and gained many loyal customers. Outgrowing their small premises, they relocated to a more modern and spacious location in 2008. When dining at the Turkish Grill you will sit in a comfortable atmosphere with authentic music playing, inspired from the regions of Turkey. You will feast on generous servings of modern and traditional Turkish cuisine, delivered to your table, by Turkish Grill’s knowledgeable and cheerful team. 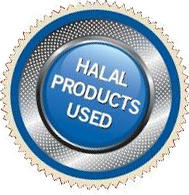 All our food is halal. Turkish Grill are winners of the BEST Turkish Restaurant 2011 & 2013 award from the Restaurant and Catering Awards as well as winners of Favourite Family Restaurant 2014 – ACT in the I LOVE FOOD Awards. We also offer Home Delivery to our Southside customers, ranging from the individual order to food for your large function.